DESCRIPTION: It's easy to feel uneven when life tosses us around. We often juggle, or rather struggle, to get everything done on most days. And although, we believe you should be proud of your ability to adapt, taking a break and realigning your emotional and physical self is imperative to maintaining a healthy lifestyle. Align is a blend of exact precision to ensure you receive the very best to restore balance. Just a few drops can release a soothing wind of calm and grounding. To handle lifeÌs many curve balls, find and embrace those moments of solidarity and calm through AlignÌs earthy aroma. So take a deep breath, feel your feet on the ground and remind yourself of your natural and beautiful resilience. A warm medley of Frankincense, Rosewood, Spruce and Blue Tansy, Align is made with care from our top quality oils. As always, Edens Garden essential oils are never diluted or mixed with additives. CONTAINS: Frankincense, Rosewood, Spruce and Blue Tansy BE INSPIRED: Sprinkle a few dots on your yoga mat to encourage balance during your practice or simply rub a few drops on your palms and gently inhale to calm moments of stress. 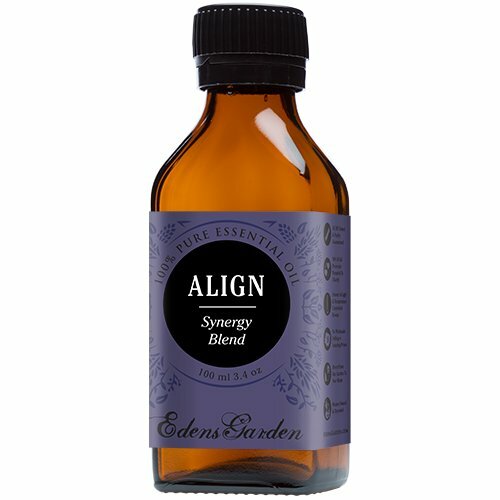 Align is a blend of exact precision to ensure you receive the very best to restore balance. Just a few drops can release a soothing wind of calm and grounding. Embrace those moments of solidarity and calm through Alignís earthy aroma. A warm medley of Frankincense, Rosewood, Spruce and Blue Tansy.